Do you want your users to be able to keep up to date with important dates and events? IDO websites are actually a web system. We integrate many types of applications and features into one robust website. 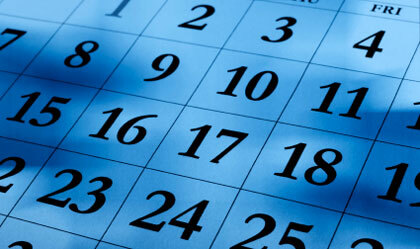 Our websites offer the ability to create event calendars. You can customize the look and feel to your liking and add as many events as you like. Not sure how to put it together? No problem, we can help you design and implement the feature as well. The calendar is based on forum entries. So, not only can you can include text and images to your events to meet your web design visions, but your events will help boost your sites online marketing and web presence. Questions? Give us a call at 541.505.9103 or contact us at Eugene Web Development.